We are so glad the Marcus Jewish Center in Dunwoody asked us to come “wow” their campers. I believe we had as much fun as the kids at this Touch-A-Truck event! Jamal El-Kahlil, Northside Tool Rental City Branch Supervisor for our Sandy Springs location set up the equipment and got the pleasure of spending time with this great group. The campers were super excited about the big shiny 7′ Mini-Excavator we brought. We were able to allow the kids to take turns sitting in the seat and “trying it out”. They were very curious and we loved answering all of their questions. The tailgate games were a huge hit, at times getting very competitive! Of course some just enjoyed the option to relax in our big comfy inflatable chairs under a nice shady tent. We believe in partnering with our neighbors to build even stronger communities. We take pride in being a local company. 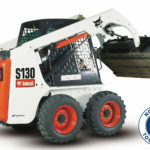 Locally owned and operated, Northside Tool Rental has been servicing the commercial equipment rental needs of contractors in the Atlanta area since 1953. You can rely on us for the right equipment and real service.